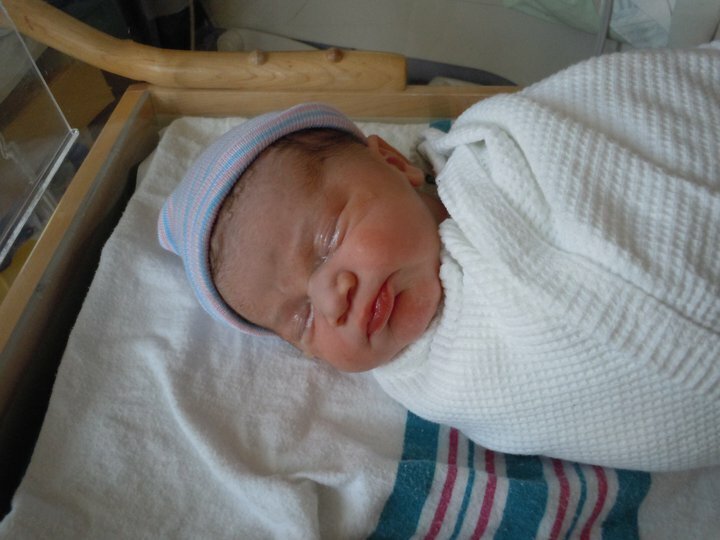 My son Joel was born on February 3, 2011. After struggling for a couple years with infertility, my husband and I felt extremely blessed when we were finally able to hold our precious miracle in our arms! Doctors did routine exams on Joel after he was born. They told us he was healthy, but they did notice a long white patch (almost looked like a blister) on his right arm. They had no idea what it was or what caused it, so we were sent to a dermatologist when he was around three months old. By the time we saw the dermatologist, the white patch on his arm had changed in appearance and texture. The dermatologist told us it was linear epidermal nevus–just a cosmetic thing and we had nothing to worry about. We went home that night feeling relieved. Months later, when Joel was seven months old, he began doing a strange head nodding thing. He would slowly drop his head and then quickly jerk it back up. The first time he did it we weren’t sure what to think; we had never seen anything like it before. When it continued the following day we knew we needed to see a doctor. We quickly scheduled an appointment with his pediatrician, and we tried our best to video record the heading nodding episodes to show the doctor. The pediatrician watched the video but almost sent us home, telling us he didn’t think we had anything to worry about. I knew in my heart there was something wrong, so I spoke up and questioned whether it could be somehow related to the white patch on Joel’s right arm. He was honest and said he had no idea, but he would call the dermatologist to discuss it. The next morning the pediatrician called me and said we needed to see a neurologist because Joel needed to have an EEG as soon as possible. 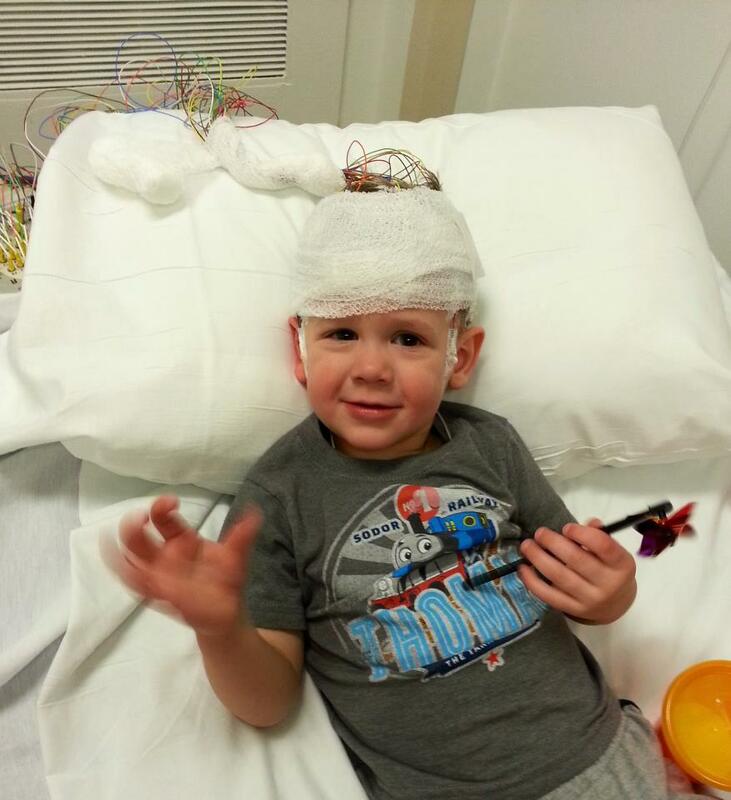 An hour after Joel’s EEG we were able to see the neurologist to discuss the results. The neurologist walked in the room, sat down and said, “The EEG showed abnormal activity which we believe is seizures, mostly on the left side of his brain, so we would like to do further testing to rule out a condition known as tuberous sclerosis complex, which can cause tumors to grow on the brain.” We had no idea what she was talking about. We had never heard of TSC before that day. I honestly can’t even remember anything else that was discussed during that appointment… All I could hear was my baby might have tumors on his brain! 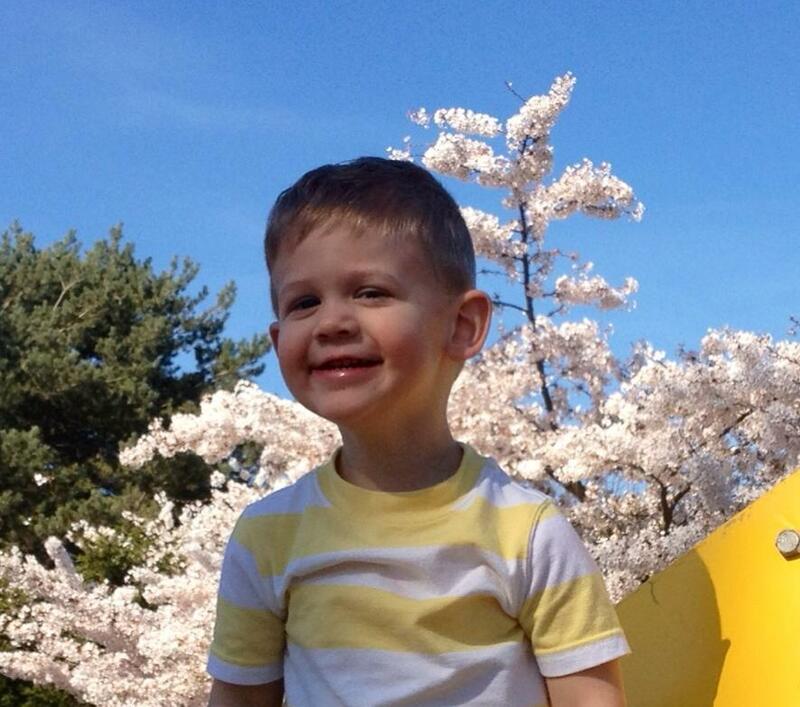 The next step was for Joel to have a sedated MRI. We were terrified. I couldn’t handle being in the room and seeing Joel be sedated so Jeremy stayed by his side. When he walked out with tears in his eyes, I lost it. He told me he never wanted me to see that. It was the hardest thing he ever had to do. The nurses told us to go have lunch while we waited. We walked to the cafeteria but we could barely eat anything. We kept looking at the clock, wishing time would speed up so we could see our baby again. When we finally received the MRI results we were devastated. The MRI showed Joel has tubers on his brain. Further testing also revealed he has rhabdomyomas on his heart. The good news is we were able to control his seizures very quickly after trying only one medication. The hardest part of this whole thing was that we were miles away from any sort of family support system. 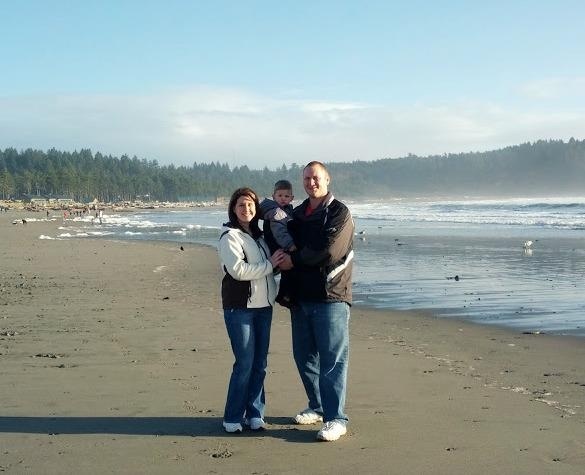 We were living in Washington state for my husband’s career with the Navy. Jeremy’s unit was supportive, but we still felt so alone. 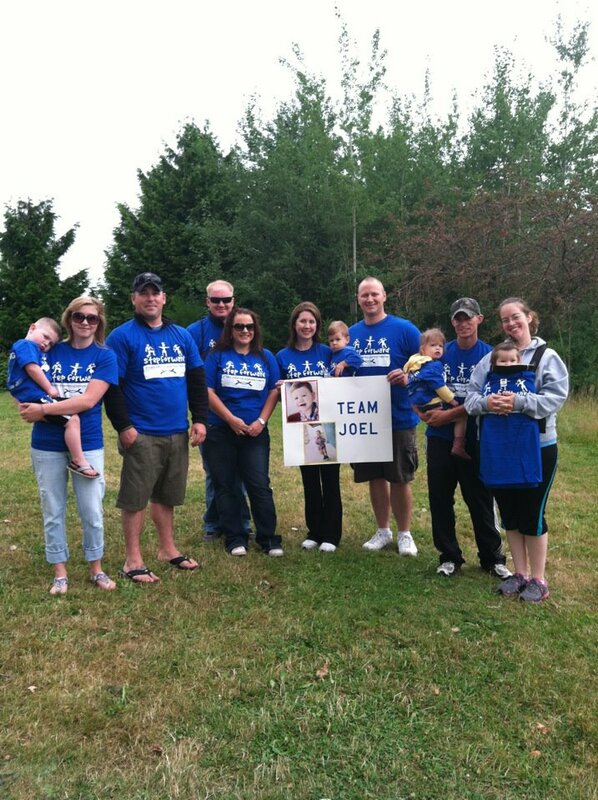 During our first Step Forward To Cure TSC walk we realized we were wrong–we did have a support system there. A group of military friends came out to walk with us so we wouldn’t have to walk alone. That meant more to us than any dollar we were able to raise! I still get emotional talking about it!! These days Joel is doing well. We have to monitor his weight very closely though, because if he gains too much weight, he starts having staring spells and we have to increase his dosage of medication. We are also watching his developmental growth very closely because TS can cause delays. He is in a grey area, right on the border of having delays in certain areas, so I’m constantly fighting with early intervention services to get Joel the help he needs. 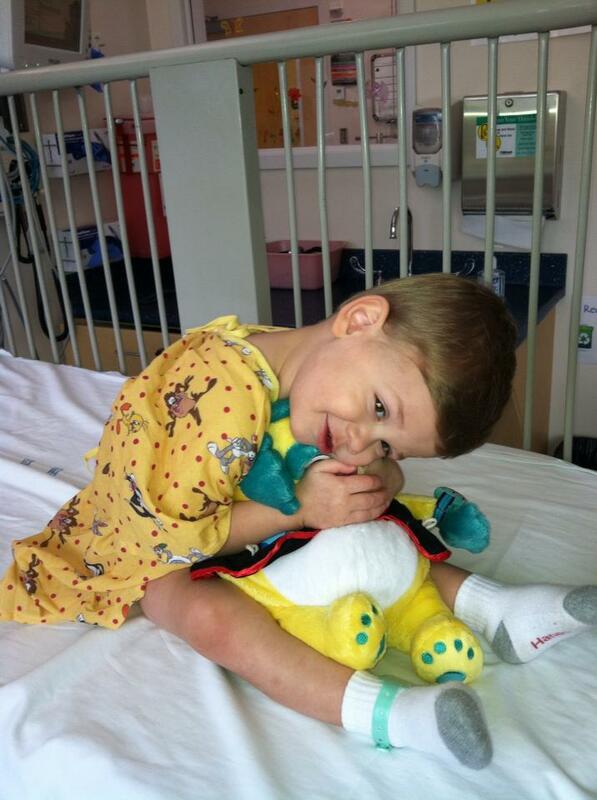 It’s frustrates me that we have to wait until he is extremely delayed to get help. You would think it would make more sense to be proactive with speech and occupational therapies BEFORE he is too far behind! We recently moved to Ohio to be near my husband’s family. Moving here has been great because we are able to see a TS specialist. It’s amazing to be able to talk to a doctor that actually understands the condition and everything that comes along with it!